Healthcare sector should be kept outside the purview of Goods and Services Tax (GST) as it is likely to make medical care expensive and unaffordable for the common people, industry body Assocham said. Healthcare is currently exempted from service tax and a similar dispensation should continue even after the implementation of the GST regime at least for 10 years. According to Assocham-TechSci Research paper, the sector caters to the unmet health needs of the society and should be kept out of the purview of the GST or else medical care would become expensive and unaffordable for the common people. “A large number of items like food and other essentials for a common household are being kept outside the purview of the GST. The healthcare is equally important and essential, important only next to food. So, there is a strong case for the sector to be spared the GST,” Assocham Secretary General D S Rawat said. Government proposes to roll out new indirect tax regime GST from July 1. The GST would subsume excise, service tax, VAT and other local levies and make India a single, uniform market for seamless transfer of goods and services. The industry chamber also demanded that Finance Minister Arun Jaitley in the forthcoming Union Budget 2017-18 should raise tax exemption on preventive health check-up and announce a healthcare infrastructure medical innovation fund. It also pressed for raising the tax exemption on preventive health check-up under section 80D of the Income Tax Act, 1961, to Rs 20,000, from current value of Rs 5,000, in order to achieve the aim of universal healthcare coverage. Additionally, the GST exemption should cover the health insurance premium, as it is exempted from the service tax at present. The other pre-Budget demand with regard to the healthcare sector includes increasing the depreciation rate on medical devices, equipment from 15% to 30%. 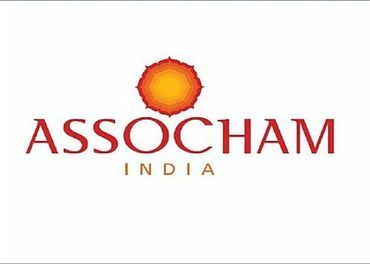 The Indian pharma industry, with an estimated turnover of USD 36.7 billion in 2015, is among the largest producers of pharma products in the world, Assocham said.